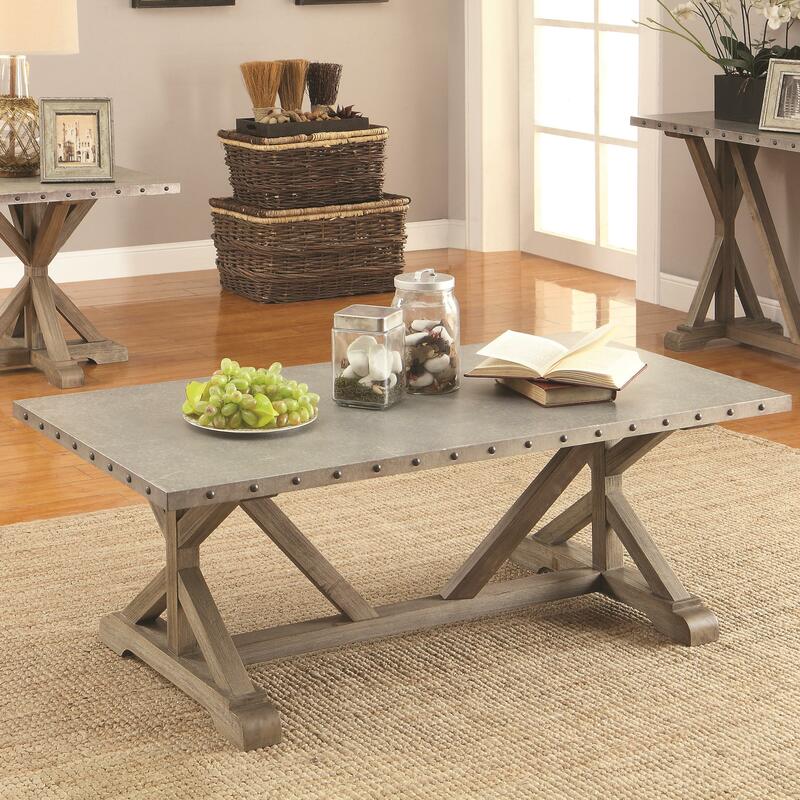 With a rustic industrial look, this coffee table will complete your living with style and function. 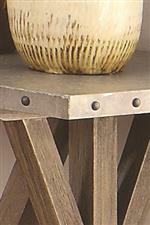 The galvanized top is finished with decorative nailhead trim and sits on a solid wood, trestle style base. 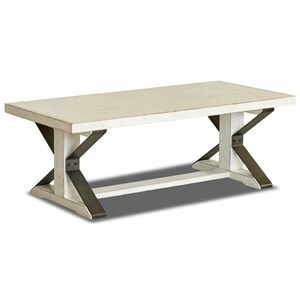 The 70374 Rectangular Nailhead Trim Coffee Table by Coaster at Rife's Home Furniture in the Eugene, Springfield, Albany, Coos Bay, Corvallis, Roseburg, Oregon area. Product availability may vary. Contact us for the most current availability on this product. 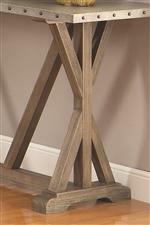 The 70374 collection is a great option if you are looking for Relaxed Vintage Industrial furniture in the Eugene, Springfield, Albany, Coos Bay, Corvallis, Roseburg, Oregon area. 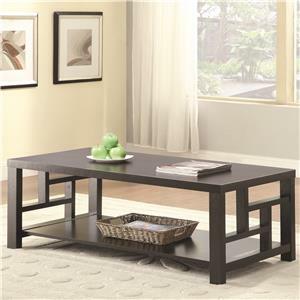 Browse other items in the 70374 collection from Rife's Home Furniture in the Eugene, Springfield, Albany, Coos Bay, Corvallis, Roseburg, Oregon area.